According to the data of early surveys, Ramūnas Karbauskis’ Peasant and Greens Union’s popularity could have jumped up to 28% after the elections. Such a jump in ratings means significant expectations from the public toward the party. The party leaders promised faster increases in income, fighting emigration, moving ministries and many other potentially costly initiatives, but the economy could grow slower than expected next year. How will the “Peasants” manage to uphold their campaign promises and how strong will the fascination of society with the party prove to be? The Lithuanian Peasant and Greens Union (LPGU) has already announced their government programme made together with the Social Democrats, have almost concluded the formation of the ministerial cabinet and the most important parliamentary posts have already been distributed, thus very soon the new government will have to start implementing the promises made during the electoral campaign. The new government programme discusses intent to improve living conditions for many groups in society. For pensioners there are promises of discussing the opportunity to raise average retirement pensions by 40 euro by summer next year and conclude the compensation of pensions. Furthermore there are plans to create a four stage pension system, while not subtracting or reducing current pensions, while a part of the pensions will be funded directly from the state budget. At the same time there are plans to transfer the debt of Sodra over into the state budget. The government programme specifies a baseline review of pharmaceutical policy – there are promises of making the regulations for medicine compensation more transparent, while healthcare staff are to receive pay raises and improved working conditions. Families and youth are promised benefits for raising children, studying and obtaining housing. The “Peasant” electoral programme mentioned an unrestricted monthly stipend of 60 euro for each child. The “child money” is discussed in the government programme, albeit the specifics of how much are excluded. Low earners are to receive a pay rise by creating a national income raising programme, which should culminate in an agreement between political parties and employers on raising wages. The people of Kaunas and Kaunas Mayor Visvaldas Matijošaitis who supported the “Peasants” are promised a somewhat different gift – a decision has been made to move the ministries of environment and agriculture to the former temporary capital, which should provide career opportunities for many youths studying in Kaunas. Farmers were promised larger EU funding by the LPGU, supposedly the funding should even out with older EU member state numbers as soon as possible. Promises were made not to reduce funding to the military. The “Peasant” leaders committed to reached 2% GDP funding for national defence not by 2020 as was planned before, but by 2018. Currently in Seimas negotiations are ongoing regarding next year’s budget, but it is likely that the new government will simply have too little time to leave a marked impact on it. Nevertheless there will be opportunities to amend it next year and some of the promises made can be attempted to implement this year. Looking from the economic side, the Bank of Lithuania already in September reduced prognoses for Lithuanian economic growth from 3.3% GDP to 2.9%. According to economists Britain’s choice to leave the European Union left uncertainties which struck the global economy hard, but next year this will likely only accelerate since Eurosceptic political forces could win the presidential elections in France and parliamentary elections in Germany, while the new US administration under Donald Trump is still an unknown. 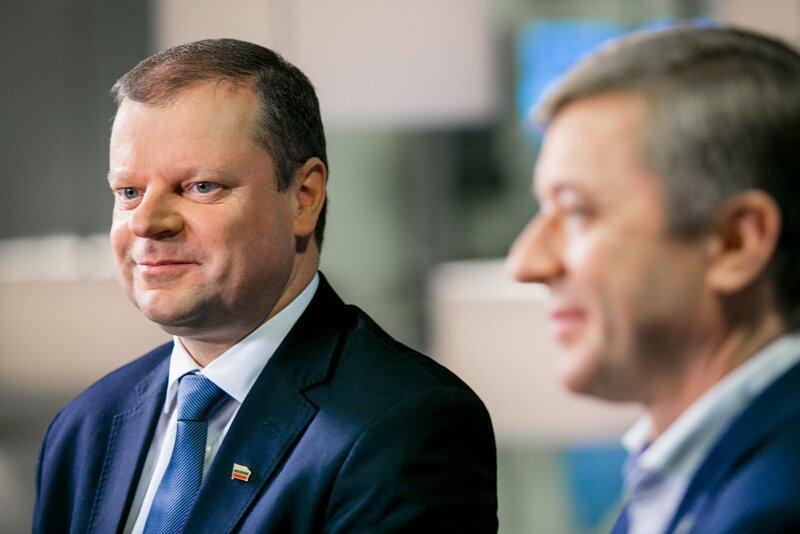 Head of Baltic States Research department for the Nordea bank, Žygimantas Mauricas told news portal Alfa.lt that during the electoral campaign the “Peasants” could paint a prettier picture of future work than would be in reality on attempting to accomplish it. “There were temptations to paint a prettier picture in the Peasant and Greens programme, which is at the same time a campaign document. It is fairly normal because elections are the time of promises and this means that a part of the promises made will be tough or almost impossible to accomplish. On the other hand we have the 2017 budget. I view it rather positively, it increases spending on social security, which is a significant problem in Lithuania. There are also plans to postpone the social model for at least half a year, raise unemployment benefits, index pensions, which are so low in Lithuania that a part of pensioners live under the poverty risk line. Thus the first steps look rational,” spoke the economist. Political scientist Vincentas Vobolevičius told Alfa.lt that at least in the short term even the worsened condition of the economy should not reduce the “Peasant” popularity in society. Aparently for now they would suffice to perform a few decisive steps and manage to market them adequately. Thus for now the LPGU has no need to rush with changes. “Voters know that this party has pledged to reduce social stratification, but has not seriously taken to mind every single point. It is doubtful whether voters in the street could mention even a few of them. Everything will depend on whether the “Peasants” manage to accomplish at least a few of their promises and then masterfully advertise them, so that people would associate changes with the “Peasants”. 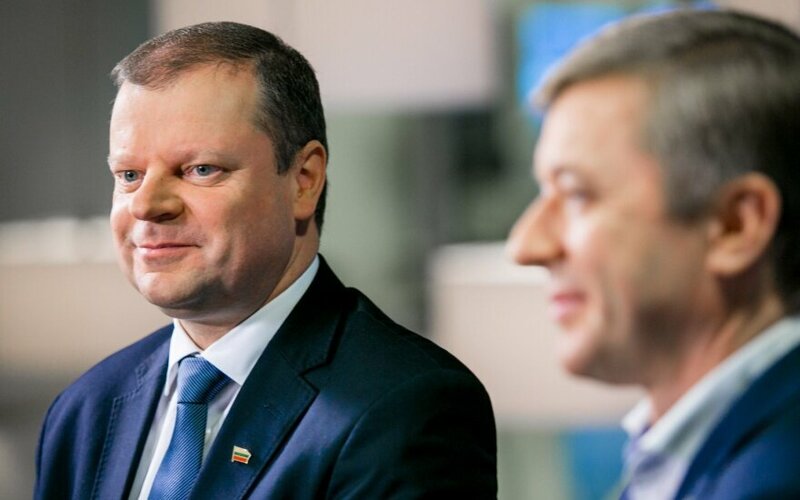 If they are primarily directed at the layers which have put all their hopes into the LPGU, that is the lower and middle income groups, who want change, but feel a lack of attention, then we can expect that they will have significant popularity,” spoke Vobolevičius. On the other hand he notes that the major obstructions in the “Peasants” way when they try to accomplish their pledges will be not economic, but political. This is because no other force in Seimas, including coalition partners the Social Democrats will sign under their proposals. “The greatest obstacle is not the lack of economic resources, but a lack of political will. The “Peasants”, even if they have it themselves, will soon face the fact that no-one supports them. It will be interesting to watch how the LPGU will manage to accomplish proposals on adjusting the Labour Code because for example their partners, the Social Democrats, pinned all their political capital on it and even performed worse than they could have in the elections due to it. They will definitely oppose any meaningful changes to it. It will also likely be hard to find support in the opposition. Hence it does not appear that they will obtain much support in other spheres of policy. One way or another, Social Democrat governments ruled Lithuania for a very long time, but did not really take care of social justice. It is unclear why the SocDems would want to support the “Peasants” now,” he summarised.